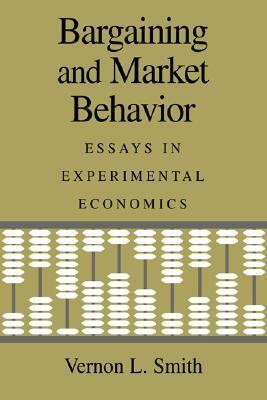 Smith, Vernon L. Bargaining and market behavior : essays in experimental economics / Vernon L. Smith. p. cm. Includes bibliographical references. ISBN 0-521-58450-7. 1. Economics – Methodology. 2. Economics – Simulation methods. 3. Economics. – Psychological aspects. I. Title. HB131.S59 2000. 330′.01 – dc21.